With the warm weather upon us, DelSignore Law is excited to announce our 2019 Bikes for Kids Giveaway in Westborough! 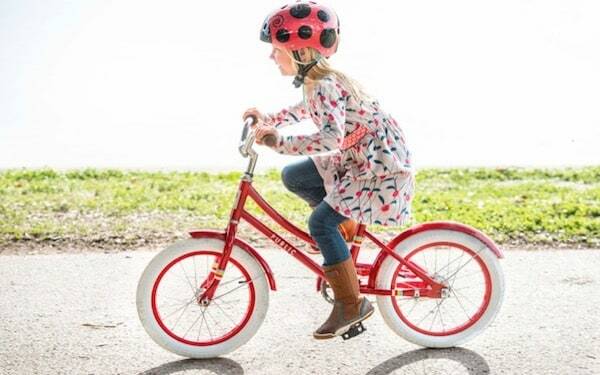 We hope that, by giving away a bicycle to a child in need, we can help support a healthy lifestyle and encourage children in the Westborough community to get outside and enjoy the weather. The nomination form is now open. We encourage parents, teachers, family members, or other community stakeholders to nominate a child who deserves a new bike. Nominating someone is quick and easy, and we only require some very basic information about yourself and a short write up about why you selected the child you did. We will review all nominations before we chose a child as the winner of a free bicycle. We will also make sure the winning child receives a helmet if necessary along with a lock to store the bicycle securely. The contest is now open for nomination. In order to nominate a deserving child in the Westborough, MA area to win a bike, please fill out and submit the form below. We would request that you summarize, in 200 words or less, why the child deserves a bike. Notably, there is no right or wrong answer. We encourage parents, family members, teachers, and others to nominate a child. No accomplishment or hardship a child has faced is too small! The selected recipient of the bike will be awarded in store at Landry’s bicycle in Westborough on May 18, 2019. The parents of the winning child will be notified privately in advance. If you have any questions at all do not hesitate to give us a call at 781-686-5924. Nominate a deserving child in your community today!